Those of you who have been following our blogs and social media sites over the last few years know that we’ve talked a lot about Boston Street Gardens, a special little street within Stapleton’s Wicker Park neighborhood. Boston Street was inspired by the charming and historic St. James and Belgravia Courts in Old Louisville, built in the late 19th century. Two and a half years ago, Boston Street was just a few black-and-white architect’s renderings and a seemingly way-too-narrow little road in a sea of brown dirt up by the new Northfield High School. 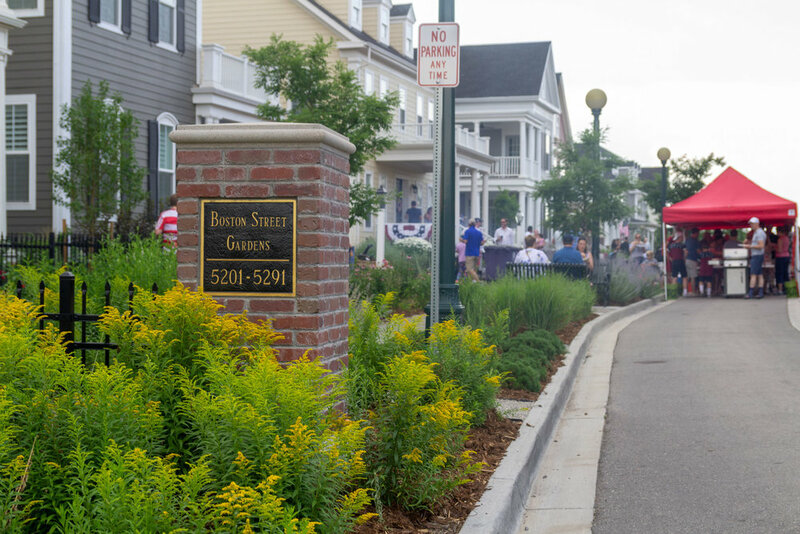 At the time, we shared our vision of what Boston Street could become: "It will feature a pleasant walking path lined with seasonal flowers and cool lawns, with a narrow one-lane road and beautiful homes enclosing this enchanting little tree-lined lane. 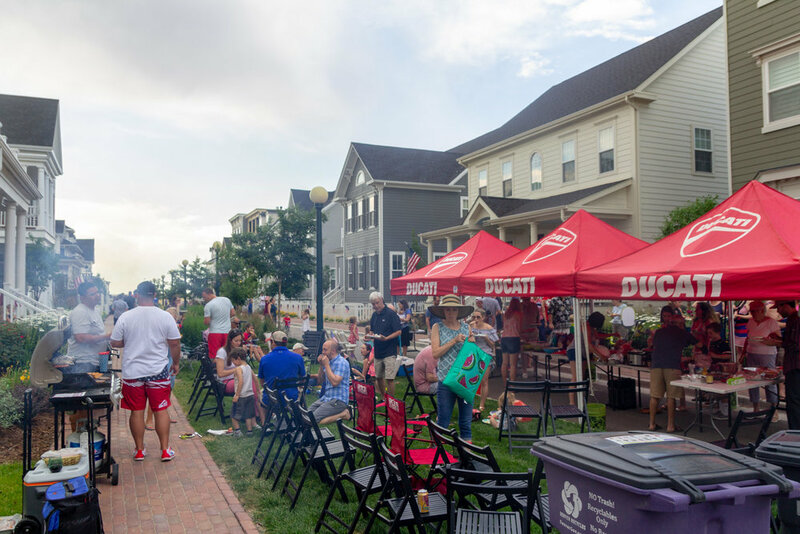 Similar to Parkwood's Nantucket Close and Central Park Mews, it's sure to be one of Stapleton's most special places for decades to come." The narrow lane and ambling paths and gardens were designed more for people than cars, and we hoped that the bocce court, park benches, and grassy lawns would create a setting for friendships and family fun. Countless hours of work by innumerable people at Parkwood Homes and our developer partner Forest City went into designing, selecting, and crafting every detail along the street with an eye to creating a special place with timeless appeal. Going against the grain to create something unique like Boston Street Gardens requires a lot of persistence in the face of the stodgy zoning and building codes that were designed to accommodate automobile-centric suburban sprawl. So we’re grateful to our good friends at Forest City, who make community-building a real priority, could see what we hoped to build, and helped us fight the good fight. Keep an eye out for a follow-up blog post by Simon next week with more details and photos that tell the story of Boston Street, from conception to reality. As you can tell, building beautiful places is a passion for us at Parkwood Homes, and we’ve got more exciting plans in the works!